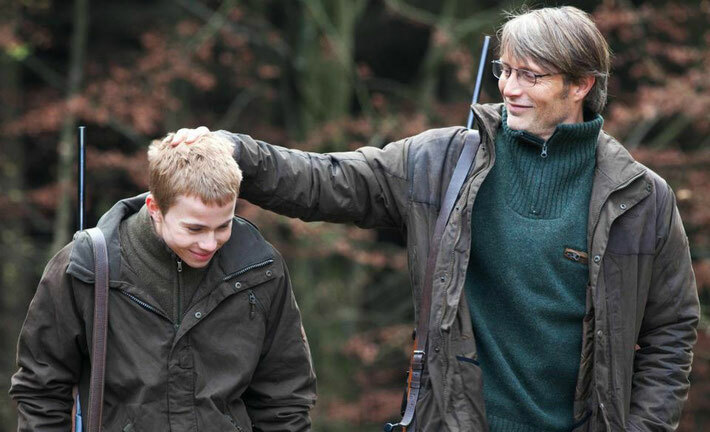 Lucas (Mads Mikkelsen) is a well regarded nursery school assistant. Having overcome the loss of his previous teaching job and a messy divorce, his life is finally starting to show positive signs for the future. The nursery children love him, his son wants to return to live with him and he has a promising new relationship with a colleague. However, Lucas’ life is suddenly destroyed by a lie that throws his small community into a state of dangerous hysteria. The Hunt is a superb film, unafraid to ask important questions of which there are no easy answers. We are all still reeling from the seemingly endless, utterly horrific stories of child sexual abuse. Film such as Spotlight and Mea Maxima Culpa have told us of the struggle victims experience to get their voices heard. We know that we must be more vigilant - we must spot the signs of abuse and respond with urgency. Vinterberg’s film turns this (albeit well meaning) watchfulness on its head. We are never in any doubt of Lucas’ innocence. However, despite being one of the most trusted members of his community, he is instantly tainted by the lie. Ostracised, life as he knows it is over. What raises The Hunt from average melodrama is how far Vinterberg is willing to go in exploring his theme. We see how quickly a frightened community can descend into utter hysteria and violence. We understand why young children might make such accusations and how difficult it is to retract such a lie, once told. 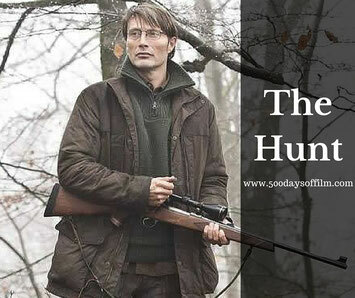 Meanwhile, Mads Mikkelsen’s superb portrayal of Lucas also elevates The Hunt. In a film full of powerful, emotional performances, I found myself transfixed by him. Here is an actor capable of expressing so much in a single, haunting look. Midway through The Hunt, the film’s focus changes and we see things from the perspective of Lucas’ son, Marcus (Lasse Fogelstrøm). His experience utterly floored me - here a child really is being abused and the community is complacent. As Vinterberg’s film moves into its final tension-filled act, Lucas’ future seems bleak. He cannot run, he cannot hide. Even if vindicated, his life will be forever changed. Have you seen The Hunt? If you have, what did you think about this film? I would love to know - why not leave me a comment in the box below?